The Shenzhen airport was opened in 2013, and is much more comfortable than most airports in China. 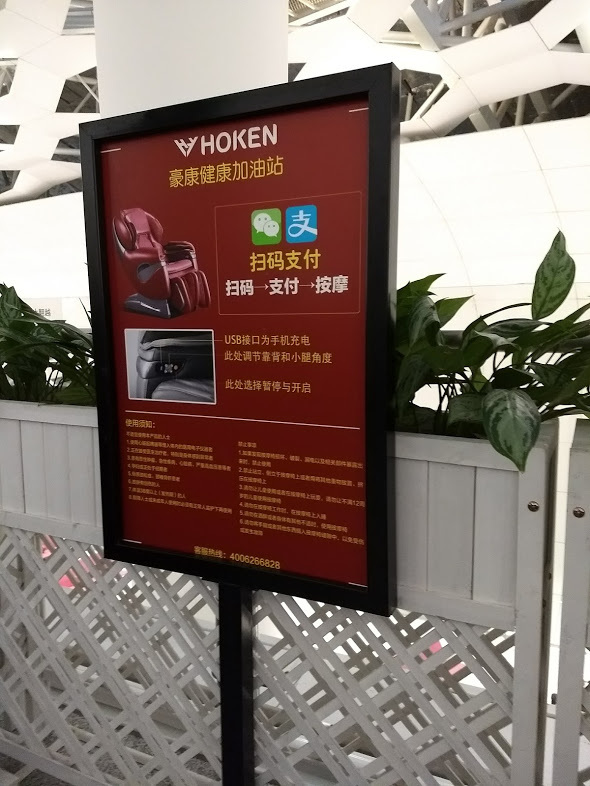 The Beijing and Shanghai airports don’t have a lot of amenities, but Shenzhen has the majority of the stuff you’d expect an airport to have, along with far more luxury shopping than you’d need any airport to have (seriously, who buys luxury stuff in an airport?). I figured I’d try my luck with finding a Priority Pass lounge. The airport is really huge and the Priority Pass app wasn’t at all clear as to where the lounge was. Since the directions and signage weren’t good, I just went to the biggest, fanciest lounge I could see. It looked really nice and very fancy and I totally didn’t get in. However, someone from that lounge (Shenzhen Airlines) was kind enough to walk me up to the Priority Pass lounge. 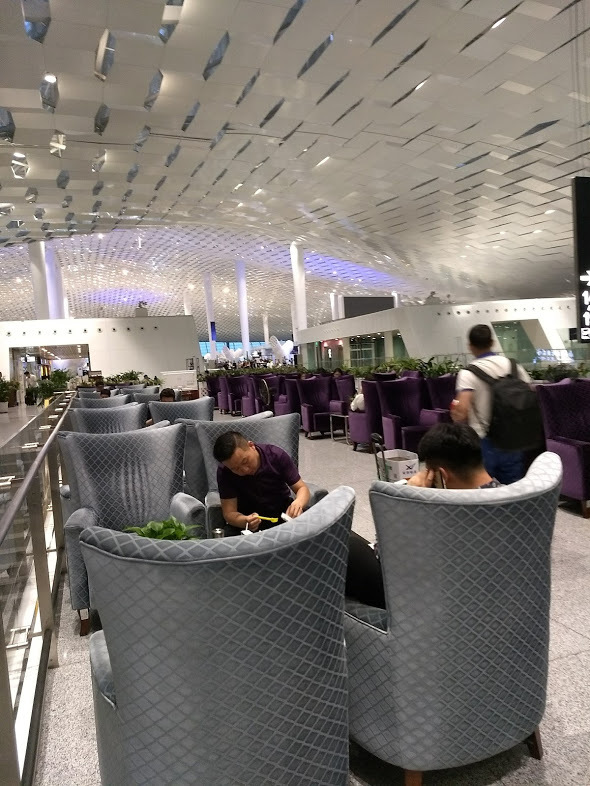 I’ll give away the plot: this lounge was below average, even for a typical Chinese airport lounge. Is this a nicer place than the rest of the airport to wait for your next flight? Well, it depends. Do you enjoy crowds? Would you like to overhear loud phone conversations in multiple dialects of Chinese? And how about a warm beer and some Chinese packaged snacks to go with the experience? Well, this Priority Pass lounge may be for you. Otherwise, give it a pass. Starbucks is nicer, and if you paid a $550 annual fee for access to this lounge, you could have instead bought the entire flight that brought me to it and a coffee and still come out ahead. 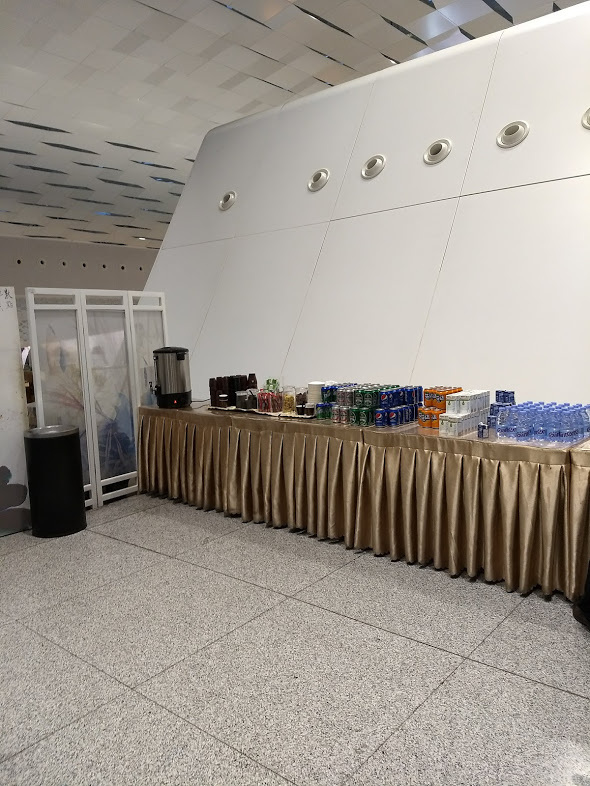 hi, did you get a chance to try PEK’s airchina first class lounge or PVG’s chinaeastern lounge? The food is really good (authentic Chinese). I would say they are on par or above Kuala Lumpur’s plaza premium. 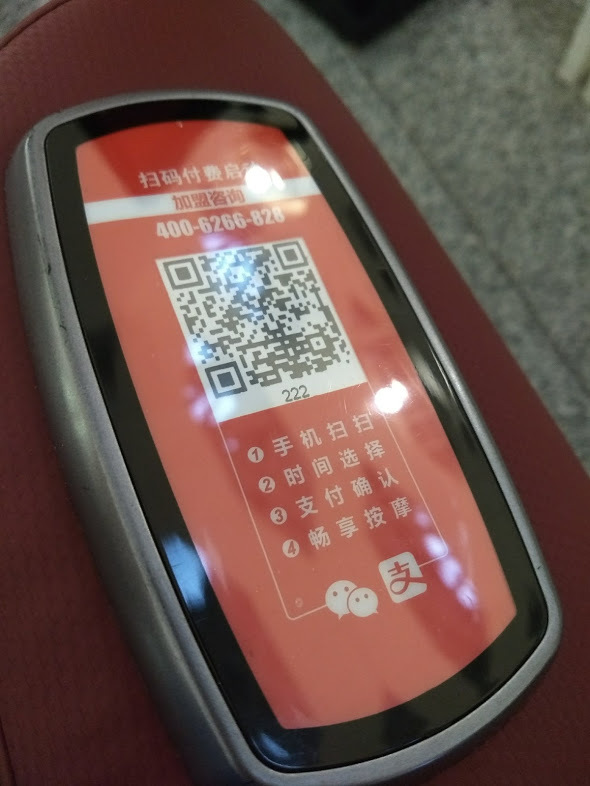 Nope, didn’t touch Shanghai on this flight and the Air China lounge in PEK Terminal 2 is in the international departures area; I only flew out of the domestic departure area.